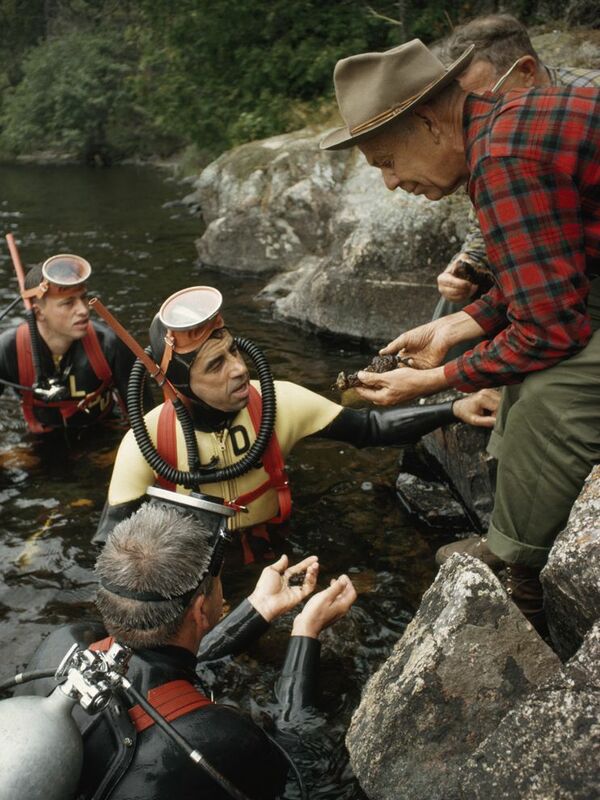 Photo: Divers bring up artifacts on a riverbank. Not all archaeologists study artifacts and features left by ancient civilizations. These archaeologists are excavating in the Granite River, on the border between the U.S. state of Minnesota and the Canadian province of Ontario. They examine an iron artifact left by colonial traders only 200-300 years ago. Archaeology is the study of the human past using material remains. These remains can be any objects that people created, modified, or used.